Hostess itself might have closed, but just as predicted, its brands will live on. 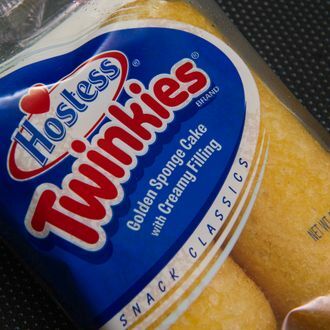 And the most famous of those, Twinkies, is due back on store shelves on July 15. That means there won’t be any impending shortage, and people still trying to sell boxes on eBay for $18.55 or on Craigslist for $1,000 won’t have a market anymore. It also means that those who were smart enough to stock up and ration before Hostess went under will never have had to go without the snack cakes, since Metropoulos & Co. and Pabst Blue Ribbon maker Apollo Global Management said all along that they would get the things back on the shelves by summer.